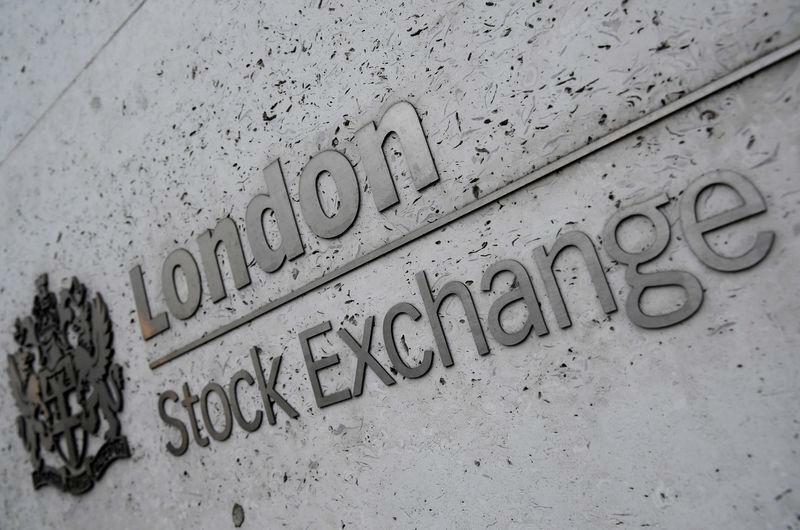 (Reuters) - Gains in financial stocks and miners after some promising data from China and positive U.S. bank earnings led Britain's FTSE 100 higher on Friday, while a plunge in revenue took down mid-cap online trading platform Plus500 and its peers. Mining companies Rio Tinto and Glencore added 1.2 percent and 3 percent, respectively, and were among the biggest boosts to the main index as copper prices rebounded. Spreadex analyst Connor Campbell also attributed the rise to data showing China's iron ore imports rose in March after touching a 10-month low in February. Separately, data from China's central bank showed that new loans and total lending surged in March, suggesting months of policy loosening were starting to bear fruit. Asia-focussed heavyweight banks HSBC and Standard Chartered advanced as a result. "The global economic outlook continues to look a little on the soft side, even without this week's IMF growth downgrades," he said. Hammerson erased almost all of its 5.2 percent gain during the session to end with a 0.4 percent rise after a Bloomberg report that French shopping centre operator Klepierre had no current plans to bid for the British real estate investment trust.